College football begins tonight and that means the ACC Digital Network is offering a fresh chance for active students and alumni interested in the opportunity to be a part of their coverage team on site by winning the “Guest Reporter Search” contest. The Sports Techie community blog shared this fun story last year and looks forward to spreading the new campaign news this season once again with our readers and followers around the nation and here in the South. Entrants can win by leveraging social media and ACCDN content about their favorite school. The ACCDN and theACC.com are using sports technology and social campaigns to deliver top sports content to your TV, digital devices and OTT box. ACC football gets underway tonight with no. 16 ranked Georgia Tech, located here in Atlanta, hosting Alcorn State at Bobby Dodd Stadium on ESPN3, North Carolina travels to South Carolina in a rivalry game on ESPN, Duke travels to Tulane and Elon takes on Wake Forest. Friday sees the University of Rhode Island playing at Syracuse. Saturday is the busiest ACC Conference opening day with Wofford going against no. 12 Clemson, Maine playing Boston College, Youngstown State battling Pittsburgh, Louisville taking on no. 6 Auburn, Virginia traveling to UCLA, Troy heading to North Carolina State, Bethune-Cookman attempts to upset Miami at Sun Life Stadium and finally, Texas St. try’s to defeat the defending ACC Champions, Florida St. Then on Labor Day Monday, no.1 Ohio State and Virginia Tech play at Lane Stadium on ESPN. College football does not much better than the ACC. 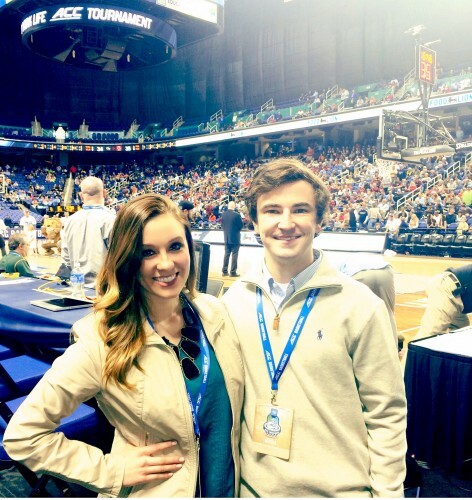 ACC Guest Reporter Search Begins On The ACCDN – Sports Techie blog. Sign-ups for the social contest began on September 1 and the deadline to enter is October 31, 2015. Writers, reporters and social media influencers can represent their favorite ACC University and win an all-expense paid trip to the ACC Football Championship Game in Charlotte, NC on Saturday, December 5. The only requirements are a passion for college sports, reporting and showing your love for a favorite ACC team. To enter, simply provide a 1:00 minute video and/or a 500 word article, fill out the website entry form, and you are ready to compete. The judges criteria for winning includes having the best personality, creativity and ability to promote a favorite ACC sport team using social media and any ACCDN content, sports videos and highlights related to your school of choice. The ACCDN may invite you to participate as a guest for an ACC coverage video or feature your story on theACC.com. A degree in journalism or communications is preferred, although any person can enter and is eligible to win. Fans are asked to follow the ACC Digital Network Guest Reporter Campaign via each contestant’s reporting activities all viewable on the ACC Facebook page, the @theACCDN Twitter handle and Instagram user name. 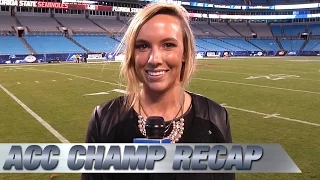 A new twist this year involves a Guest Reporter Gallery at theACC.com displaying the most viral entries while allowing every fan a unique, inside look into the compelling storylines that can accompany the campaign throughout the contest. For complete details and campaign guidelines, visit theACC.com/GuestReporter. Sports Techie, sports properties are competing for eyeballs and sponsors so getting fans to engage and enhancing the fan experience are a few of the top priorities when it comes to serving their end-users. This is why the continued activation of the ACCDN Guest Reporter Search Campaign is worth entering and following online for ACC students, alumni and college sports fans in general. I look forward to learning more about this season’s candidates and winner. Enjoy the college football season everyone, sports tech makes it so much better.